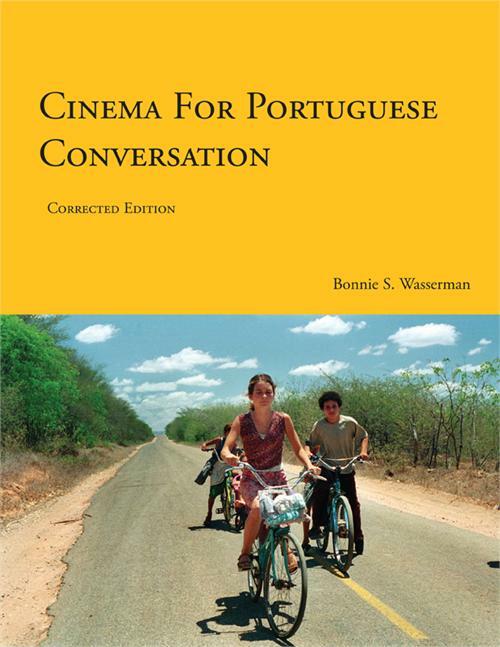 The book Cinema for Portuguese Conversation is a great resource to make your Portuguese lessons even more fun and take your Portuguese practice further. The book uses 14 Portuguese-language movies, almost all Brazilian, to help you acquire vocabulary, develop your writing skills, and advance your speaking fluency. In this post I will first describe the book in more detail. Then I will tell you how you can benefit from it. I hope this will help you make an informed decision should you decide to get Cinema for Portuguese Conversation. General information about the movie: A short description and some info about the director and main actors, including other movies they have made. Movie Vocabulary: A glossary of key vocabulary in the book, with translation. It includes colloquial expressions and slang. Before the movie – Context: Information to help you understand the social, economic, and/or political context in which the story takes place. After the movie – Exercises: Lots of exercises to help you retain and expand vocabulary, develop writing skills, and advance speaking fluency. Cultural information: Each chapter brings additional information on cultural elements present in the movies, including celebrities mentioned, religion, politics, and pop Brazilian culture. You will fully benefit from Cinema for Portuguese Conversation when you use it with professional instruction in your Portuguese lessons. I will explain why. Get deeper insights into each movie and its context. If you live in Brazil or want to develop strong connections with Brazilian stakeholders, this will be a great way to learn much more about Brazil while you practice your Portuguese. Make sure that you can correctly use the new words and expressions that you will learn. How many times have you learned a new word or expression only to find out that you are not using it correctly. Learning the meaning of a word or expression is often not enough in order to be able to use it right. A good instructor will make sure you really get the new words and expressions – and there will be a lot of them. Work on the writing activities in the book and get useful feedback on your writing. Writing forces your brain to think about the language in a different way. Even if your goal is conversation, I encourage you to also develop your writing skills. Cinema for Portuguese Conversation will offer you plenty of opportunity to do so in an interesting way: writing about the movie and related topics. Most of all, with an instructor you will be able to fully explore the conversation practice potential of the book. Cinema for Portuguese Conversation offers a ton of opportunities to advance your speaking skills. At Street Smart Brazil we use Cinema for Portuguese Conversation with clients who enjoy watching movies and are available to do so. The instructors take the opportunity to bring to class additional materials that can add value to the language and cultural content of each movie. It really is a great learning experience. The book authors encourage learners at all levels to use the book. In my opinion you will benefit more from this book if you have intermediate or advanced Portuguese. On Amazon.com you can read customer reviews and check out the book using the Look Inside feature. By the way, you will find several of these movies available on YouTube.